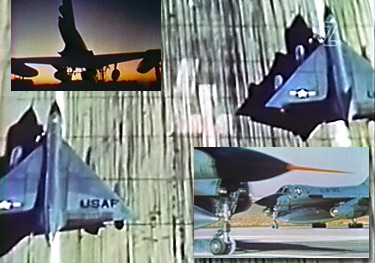 The first training version of the B-58 Hustler, the TB-58, was delivered by General Dynamics to the US Air Force in August, 1960, the first of eight R&D aircraft (this was "aircraft 11" in the test series) converted for that purpose. The biggest change involved converting the Bomber/Navigator station (2nd seat aft) to a pilot/instructors compartment with instrumentation and controls.Highlights include great footage of the colorfully painted TB 58 training version in operation, a tour of the mock up of the converted crew section, and unique in flight footage shot from inside the aircraft. * B-58 Hustler: Swift, Capable, Versatile, Operational!